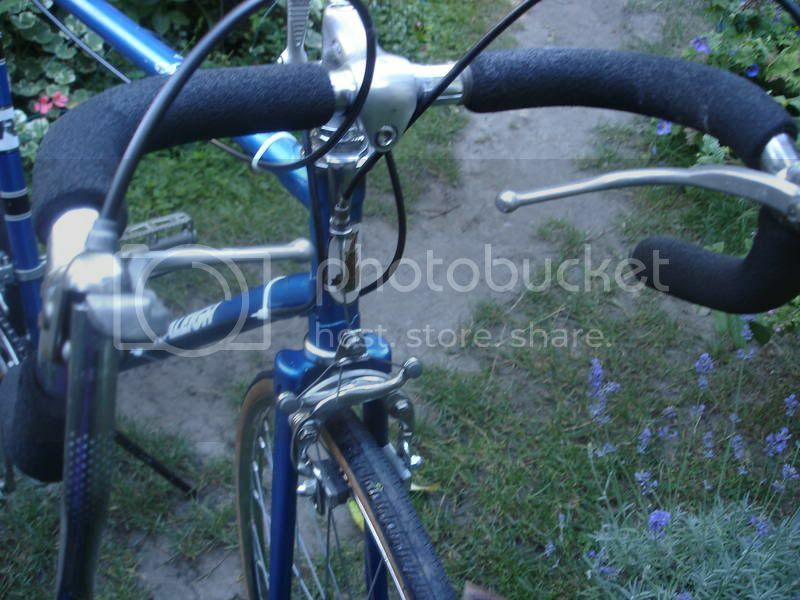 I'm looking in the Greater Vancouver/ Victoria area for a touring bike for a low price. 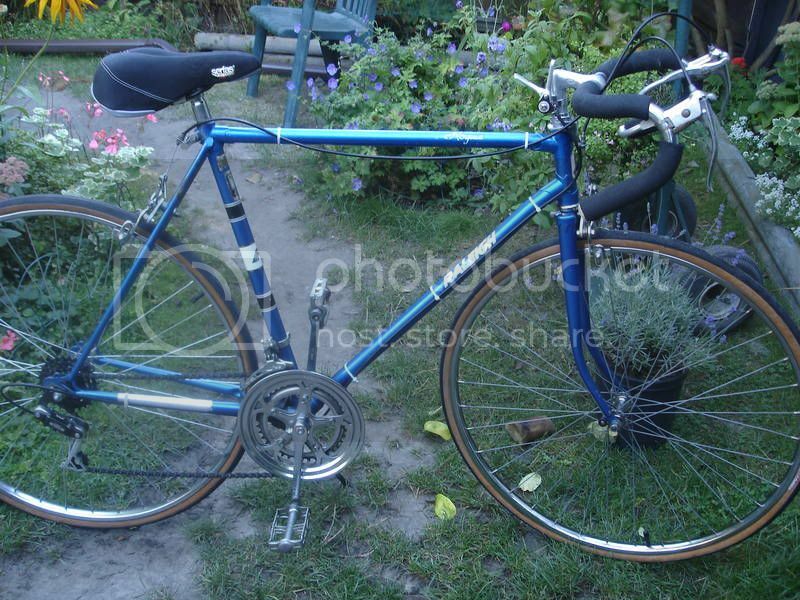 After much reading and reserch I may not be able to find an actual touring bike that i have read about so some of the vintage bikes look comptible for my needs? Would this bike be suitable for light to mid range touring? I found another lacking a front wheel for only (80.00) Would it be hard to find a suitable wheel for it? Last edited by Northguy59; 09-09-11 at 02:14 PM. 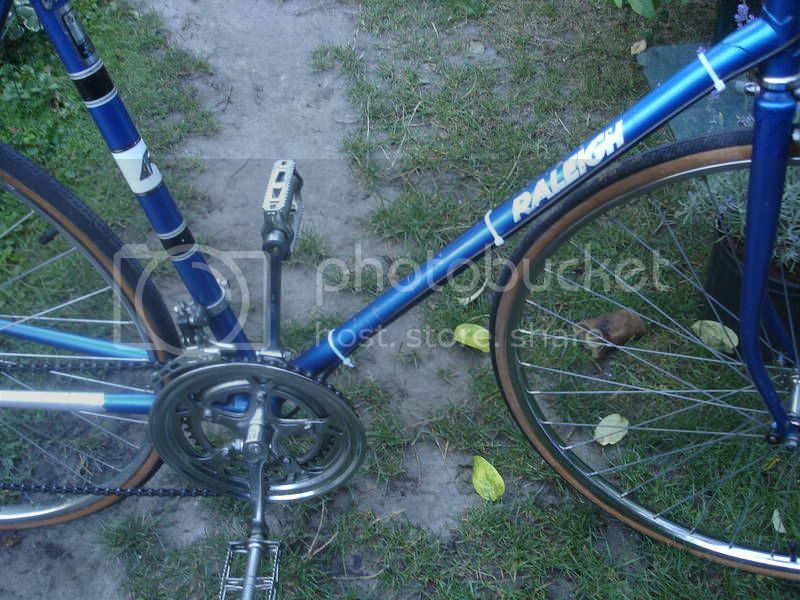 That Raleigh is a turd, and the frame looks bent to me. As far as the second bike, project bikes are best suited for people that have the tools/time/parts/knowledge/space in doing all the work themselves. Does not sound like a good fit for you. Last edited by wrk101; 09-09-11 at 04:05 PM. The Raleigh looks like the top tube is bent along with the fork. It's probably been in a collision and it's overpriced for the condition it's in. The second bike might be ok, but both sets of photos are such low resolution it's hard for us to identify anything detailed which may be wrong with them. 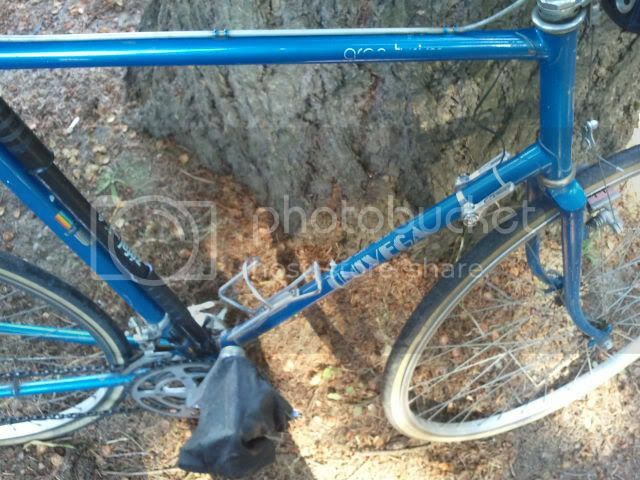 I'm looking in the Greater Vancouver/ Victoria area for a touring bike for a low price. Isn't everybody? But Vancouver is a big city and prices are usually pretty high there. I have had lots of people from Vancouver buy bicycles from me and they are often impressed with what they got and how much they paid. Still, if you want a cheap bike, that Raleigh is, indeed, cheap but horribly expensive, in my opinion. If you do actually tour with it, you will be in great shape after riding that heavy old beast from her to a long way there. Were I you, I would pass. You can get much better deals, even from me, although shipping will add close to a hundred dollars to the bicycle but you will have a decent bicycle. Well I knew the price was over the top. I just need more of an idea of what kind of bike to look for in this area? It's hard because all the bikes from the 70's or 80's in this area are well overpiced. I'll be doing some weekend garage sales. I did find 2 Univega Gran Tourismo bikes but far away. They are priced $250 for both of them. The guy is not sure about my fit though and i'm concerned to drive that far for too big a bile for my 5'8" frame. Univega is WAY TOO big for you. And it will be worth less than that the day you bring it home. I have had experience with these bikes and think them to be a poor imitation of a road bicycle. Of course, three hundred for a jump on it and go bicycle is not that bad. The question is, how long will it last? Try to not be impatient and keep looking. Something will turn up and you will find much better deals if you go out and actually try to find a bicycle at garage sales and the like. You can even advertise for one on Craigslist. That has worked well for me in days gone bye, but I do not use CL. 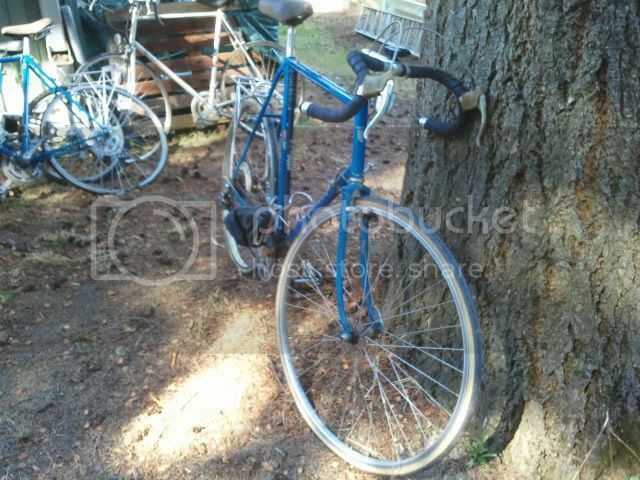 In Thunder Bay the on-line vintage bicycle answer is Kijiji. Best of luck with your quest. By the way, I sold this Norco Magnum GT for $350.00 plus about a hundred bucks to ship. The bicycle was in excellent condition. The buyer scolded me for under-describing the bicycle, suggesting it was in much better shape that I had mentioned in the Ebay listing. Let every one of your friends, acquaintances and people you come into contact with, know that you are looking for an old road bicycle, or an old Ten Speed. Chances are very good that you will have one by the end of next week. This bicycle finding procedure only works the first couple of times, though. I'm waiting for a reply for a Norco Magnum GT in my town right now. I still thought the price was too much at $200.00 and asked about a price negotiation. WHen I did a search i was re-directed to your sight..lol.. I can be a little OCD and look for things online! I'll be yard sales tomorrow and the re-cycle center in Maple Ridge here. I'll be posting on Facebook also!! 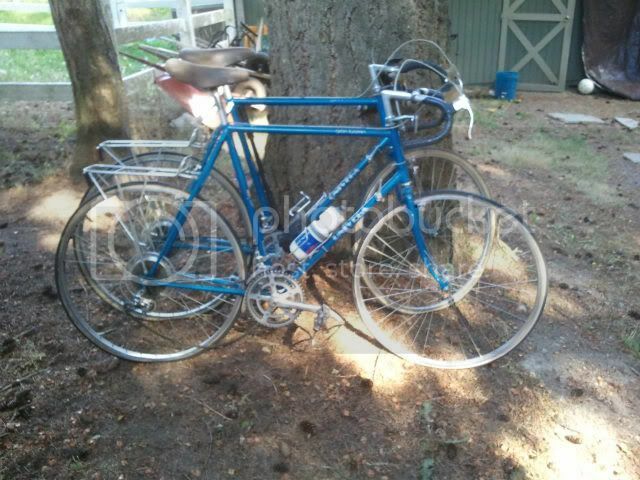 Man there seems to be a market for "vintage" bikes online.. Seems to be a post retirement buisness. In the 80's i was pretty good at stripping bikes so i am not too concerned about a re-build myself. I just want something cheap to wrk on with then replacing my own things on it as needed. For the meantime my Rocky Mountain MB will do! 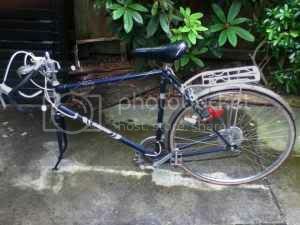 Moving to Victoria in two weeks for the winter though and wanted a sturdier touring bike for there with teh Mnt bike. Could you put racks or fenders on the magnum gt? Not for a long tour but say 100 or 200 miles? I have him down below $150 so far! More to come! I ended up getting the Norco magnum gt for half of what he was asking. It's in pretty good shape. New tires, new chain, new handlebar cork tape. I can feel I think bearings on the rear wheel so that needs to come apart. In fact i'll pull both wheel bearing apart and the crank. I need to find some tools for a good price! Since you already managed to buy a bike, I won't say too much, but I think the raleigh royale is a great bike! I've got an early 70's royale (5 speed), and my brother has got a '69 royale (10 speed). I don't care if it's low end or high end or whatever, i think it's great anyway! Yours probably is great -they rode very well and were pretty tough. 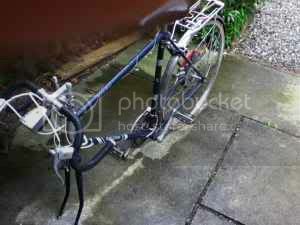 The one the OP showed however had a badly bent frame and I'm sure would have lost it's smooth handling qualities. Shame really, those were nice, smooth, simple bikes. Ouch! That first bike, the blue one, has been crashed. Does the wheel even turn fully or does it rub the frame? A non-suspension mountain bike would make a great touring bike. 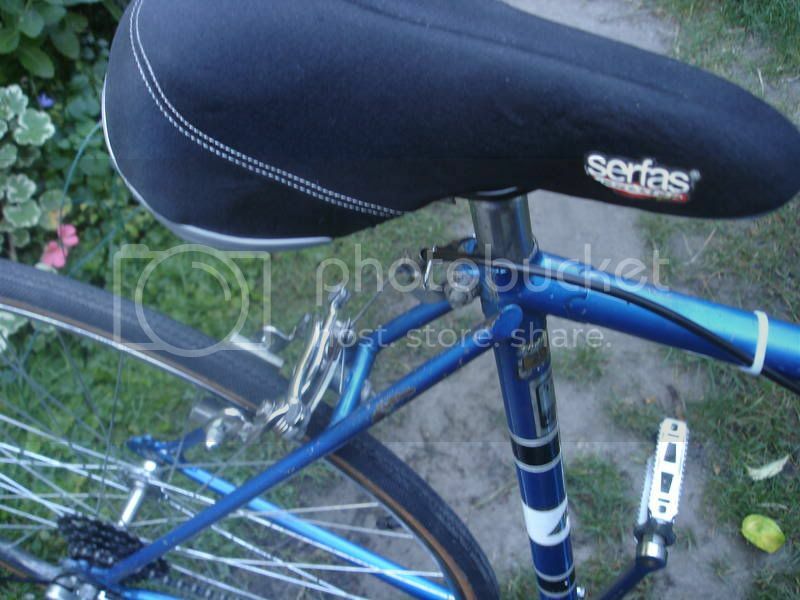 They have all the doodads you need for racks, water bottles, fenders, etc. They are strong, reliable, have great brakes, super-wide range gearing, are inexpensive and plentiful on the used bike market. Usually, all you need to do is replace the tires with slicks or some other road-patterned tread. (x-post from track forum) to re-axle a 120mm or modernize the frame?